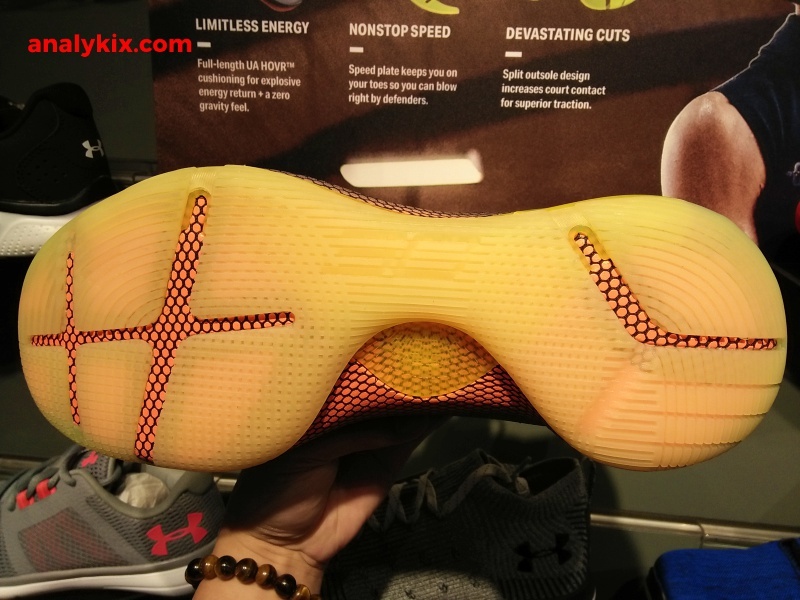 The Under Armour Curry 6 just dropped recently and here are some images of the 2 colorways that I took at Olympic Village in Trinoma. 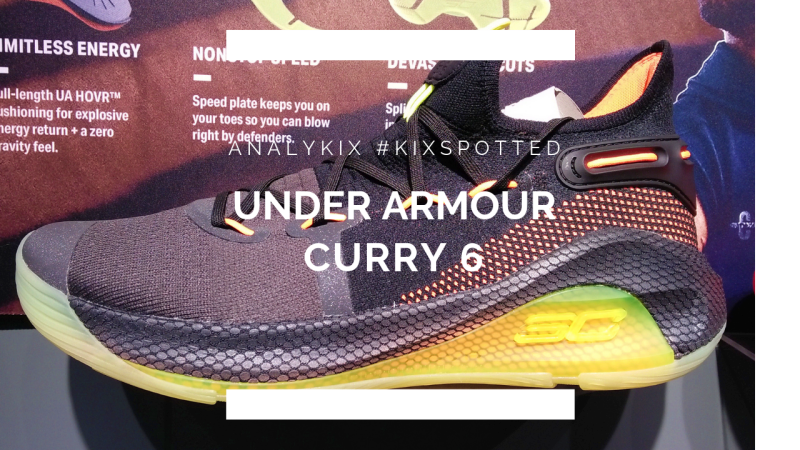 So these two colorways just vary slightly in some parts of the overlays but it really doesn't make much of a difference. 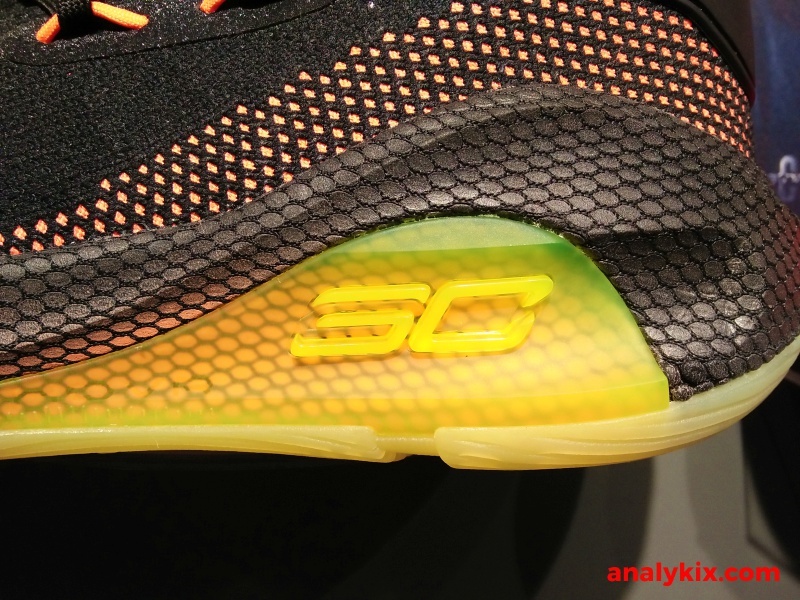 Also, the outsole will have either a solid rubber or translucent rubber depending on the colorway. 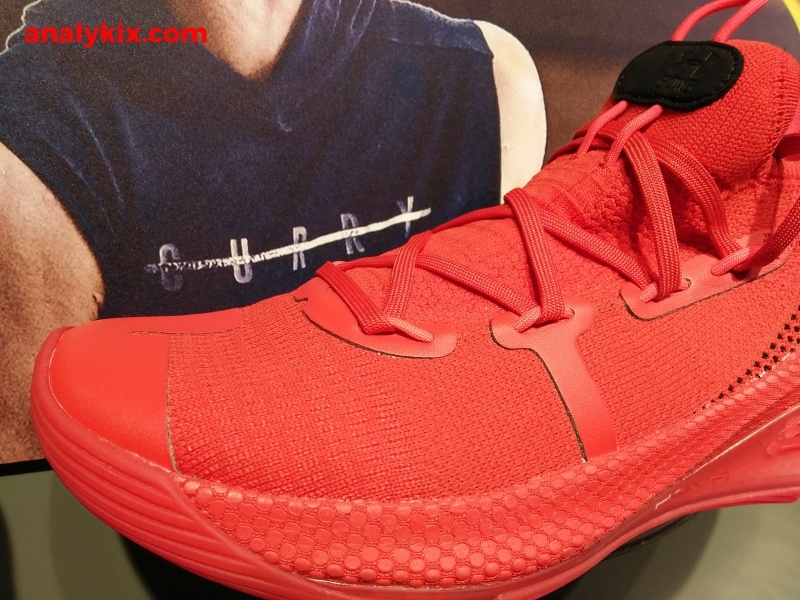 It will just boil down to preference. 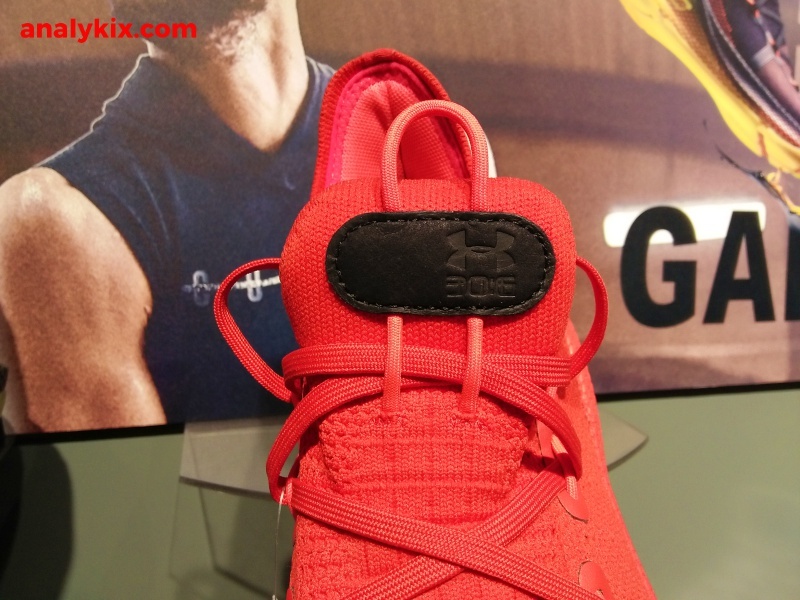 The shoe's upper is made up of a lightweight knit upper which feels stretchy but still has that snug fit which is also due to the bootie construction. 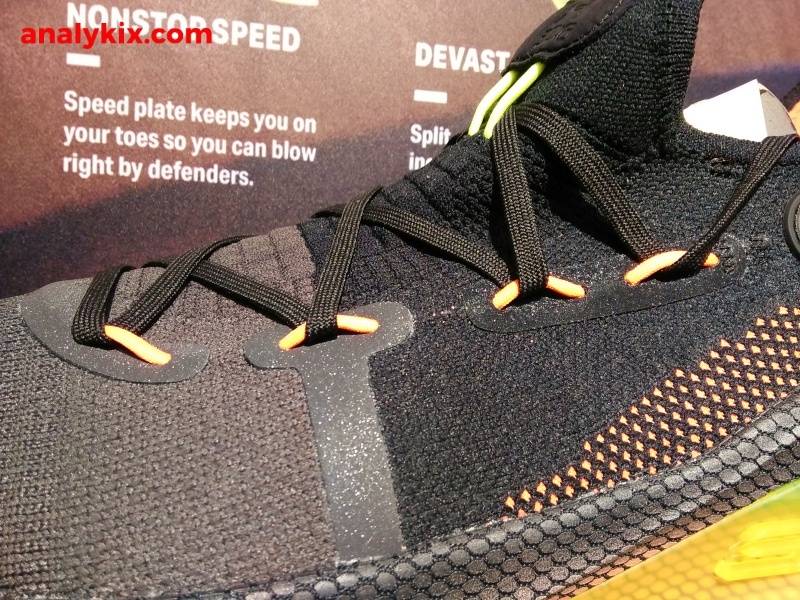 The tongue area has a pull-tab to aid you in wearing your shoe easily. 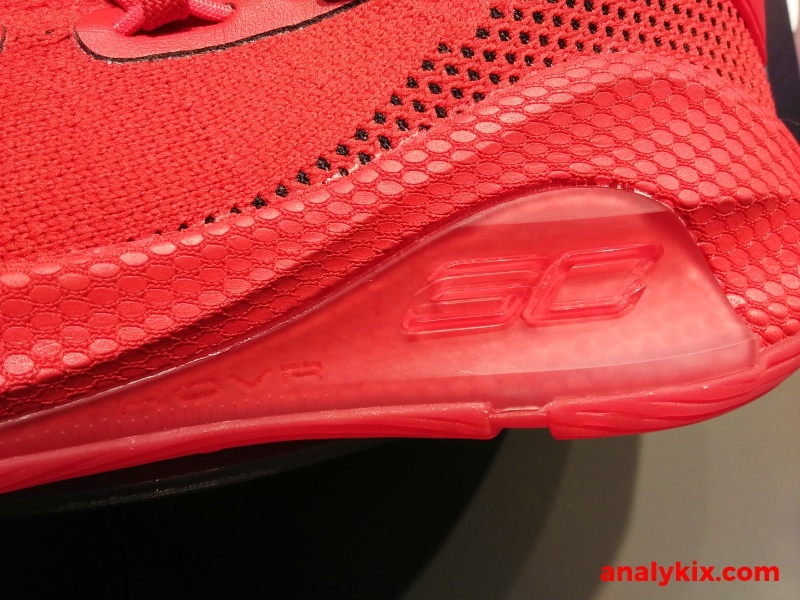 It really does feel light and would probably benefit users who love a lightweight shoe. 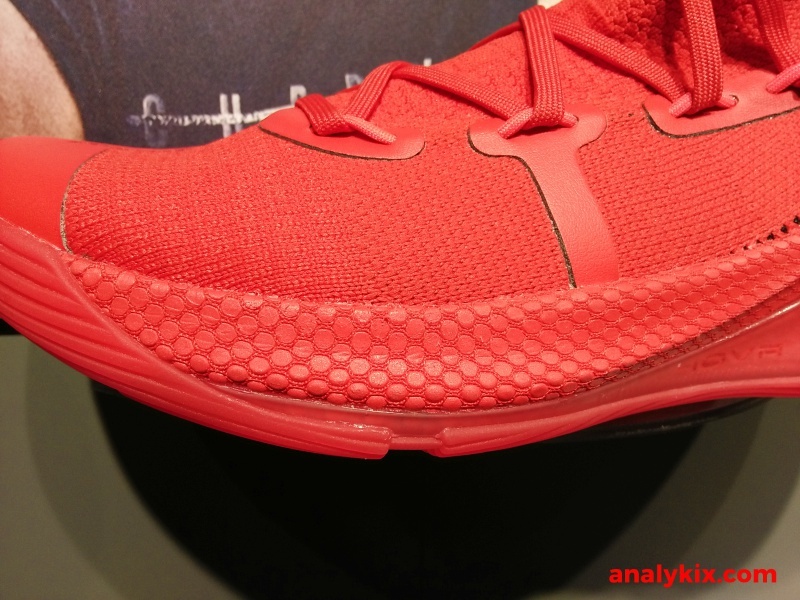 The cushioning is made up of a full-length HOVR cushion which is their go-to tech nowadays in their top-tier models be it running or basketball. 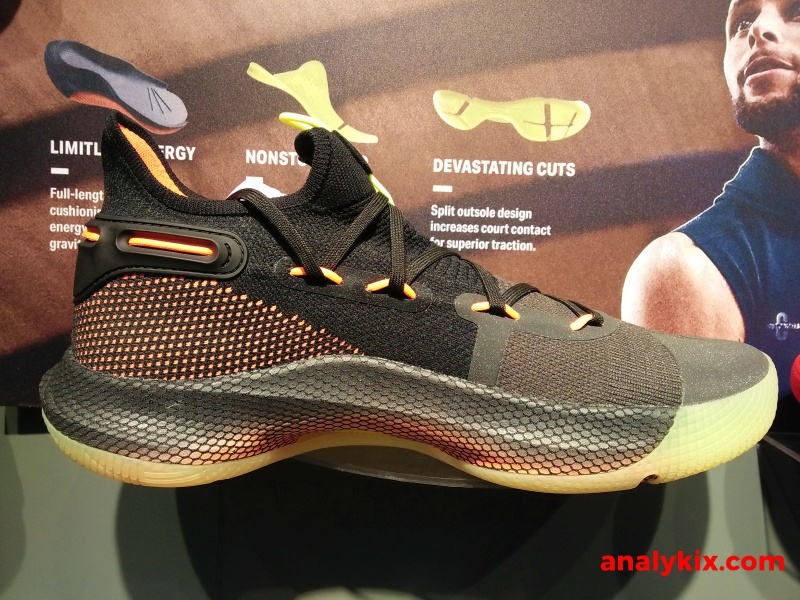 It feels light too and not clunky or blocky and that is because of the TPU speed plate which is the translucent material in between the foam and the outsole. 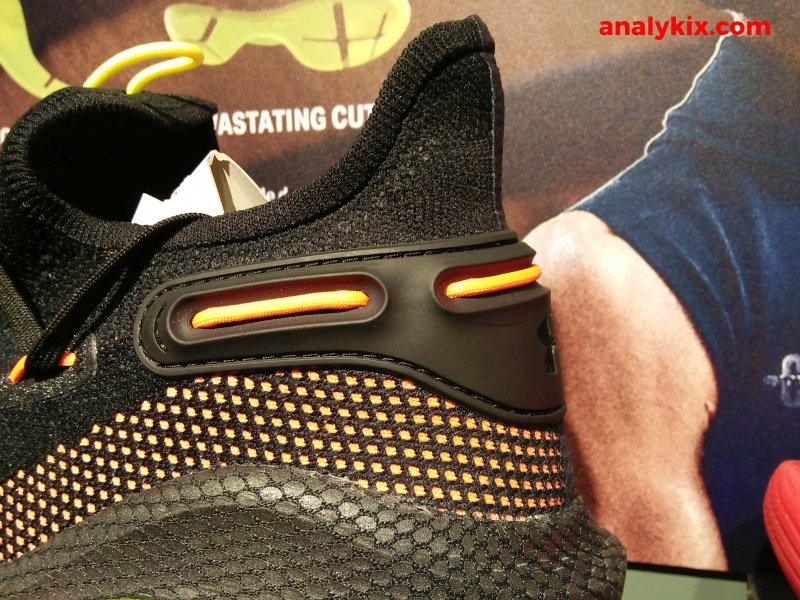 It acts as a stability plate, giving the footbed needed structure and a torsion support so your foot wouldn't over flex especially when the materials underneath your foot aren't too stiff. 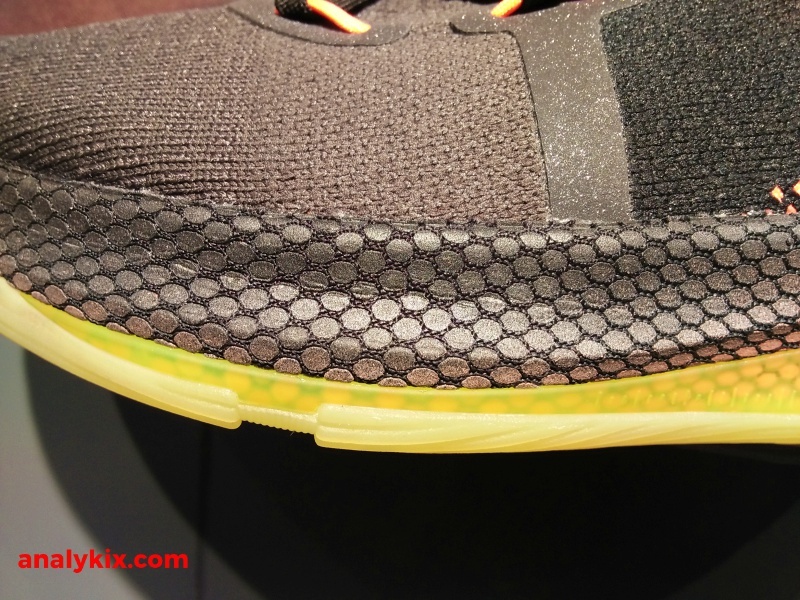 The outsole is split in various sections that serve as flex points a more natural foot transition. 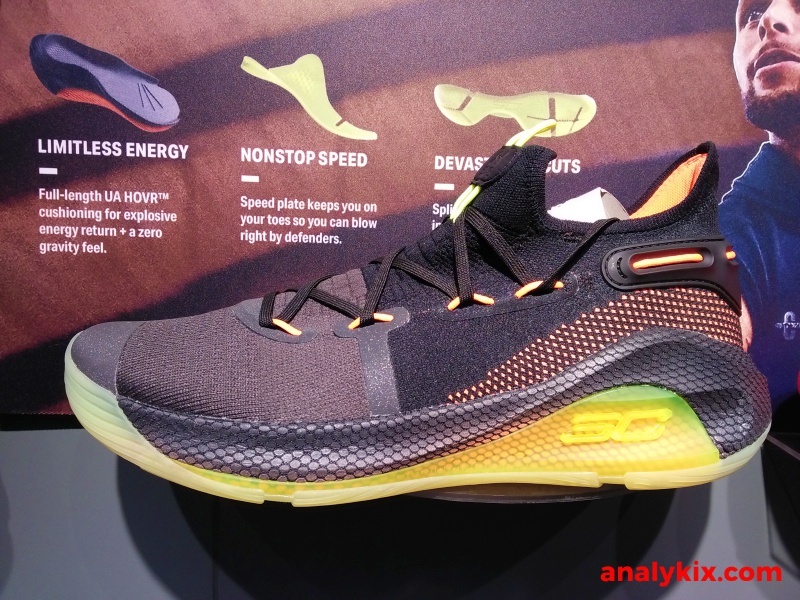 Since the shoe is especially made for Steph Curry's needs, running through screens and quick release shots, you don't need too much materials and as much as possible you need to be quick on your feet as well as minimal materials between your foot and the ground giving you responsiveness with various movements. 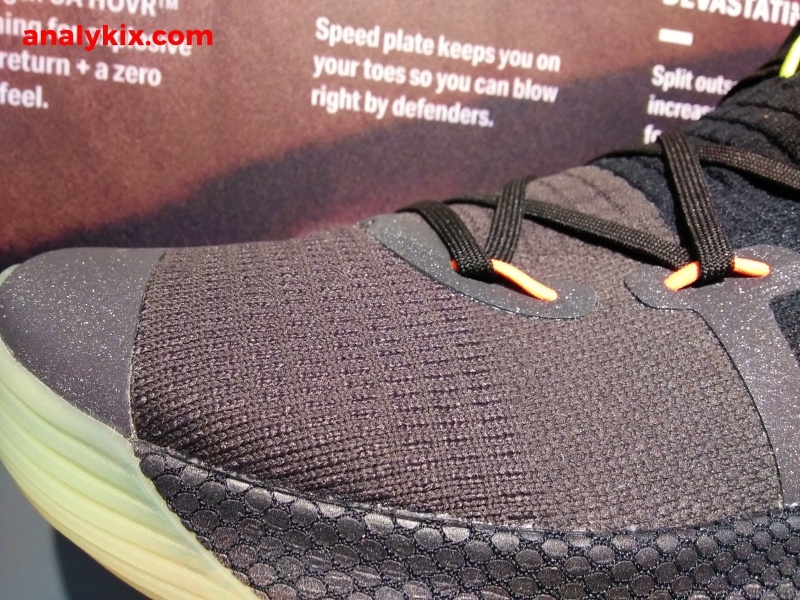 The HOVR foam is a lightweight but responsive foam that could also give you adequate impact protection. 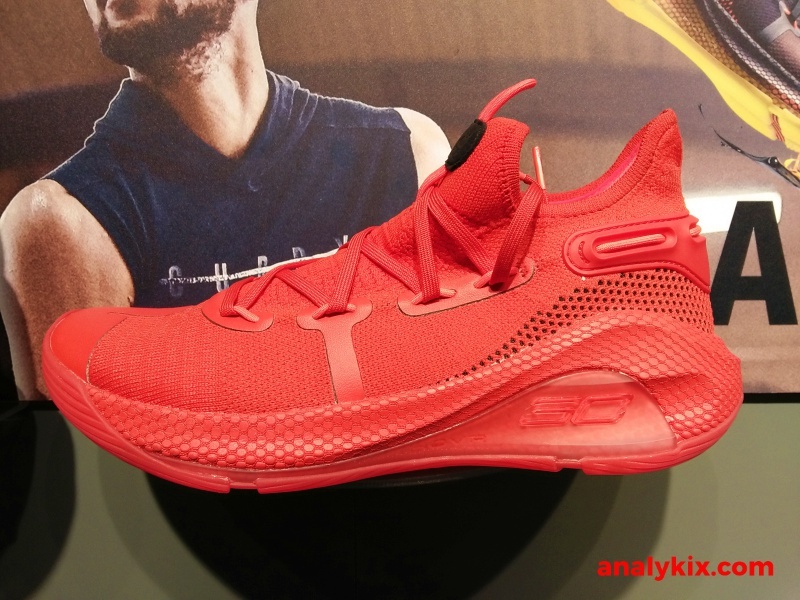 And while Steph isn't an explosive player in terms of doing high-flying dunks or being monster rebounder, the cushioning is suits him for being able to be quick on his feet as he make those quick release 3-point bombs or a sneaky attack to the basket. 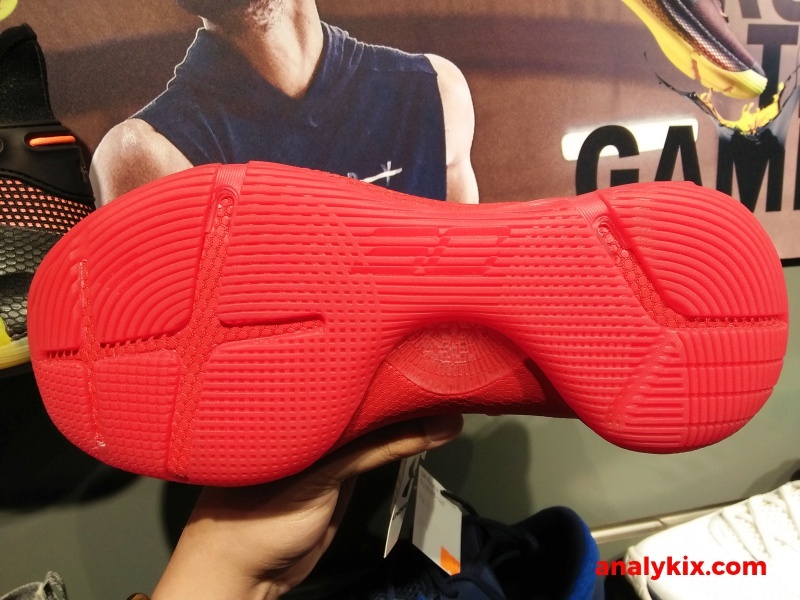 Two colorways have been spotted at Olympic Village in Trinoma and retails for Php 7,995.